The 200cc segment is quite an interesting one. It does not fall under the category of commuter motorcycles but cannot also be considered as a class representing outright performance motorcycles. But the good thing about these 200cc motorcycles is that you get a decent amount of power, without them being too heavy on the pocket when you consider their prices. These bikes offer more affordable running costs too, which is why they are so popular among the age group of 18-30 years. Here we have made a list of the top 200cc bikes in India to help you choose from. This has to be one of the most famous bike on this list. The Apache RTR 200 4V was launched in 2016, but ever since it has been doing wonders in the market. Last year it also won the prestigious Indian Motorcycle Of The Year award for 2017, Currently, the bike was given a mid-life facelift which also added slipper clutch feature to it. 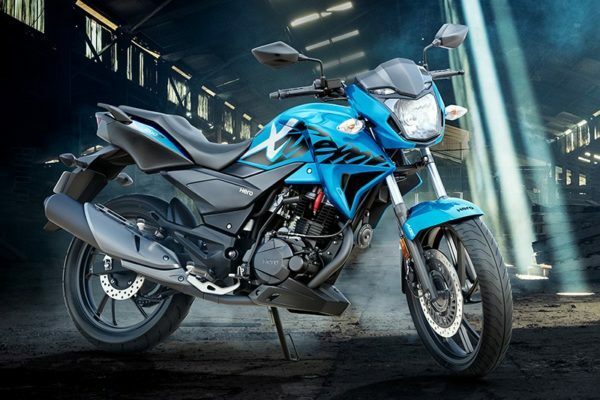 The bike comes with many variants like one can buy the RTR 200 4V with either a carburetted or a fuel injected engine, ABS or non-ABS and even the tyres are available in different varieties. One can buy the Apache RTR 200 4V with regular TVS tyres on opt for stickier Pirelli tyres. The Apache RTR 200 4V gets a 197 cc engine which makes 20.7 bhp and 18.1 Nm of peak torque. The bike is mated to a 5-speed transmission. The KTM 200 Duke is the next bike on our list. This bike is the most powerful 200cc which is available in the Indian market. It was recently updated with a single-channel ABS which adds to the safety quotient of the vehicle. the bike was launched way back in 2012 but even today is a successful model because of its engine and the way it delivers that power. 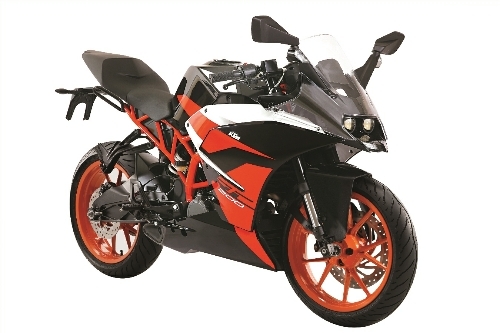 The KTM 200 Duke uses a 200 cc single-cylinder engine which makes 25 bhp along with 19.2 Nm of peak torque. The engine is mated to a 6-speed gearbox and it has a claimed fuel efficiency of 35kmpl. The Hero Xtreme 200R is the latest 200cc motorcycle to be launched in India. It also comes with single-channel ABS. The 200cc engine on the Xtreme 200R makes 18.1 bhp and 17.1 Nm of peak torque with the power being sent to the rear wheel via a 5-speed transmission. The fuel efficiency for this bike is somewhere around 42kmpl-44kmpl. It is nowhere as fun to ride like the 200 Duke, but it does the job well as a powerful everyday bike. The Pulsar NS 200 is also one of the most popular bike in this segment. It was launched way back in 2012 but discontinued in the middle for a brief period. Recently the bike was updated with single-channel ABS as an option. 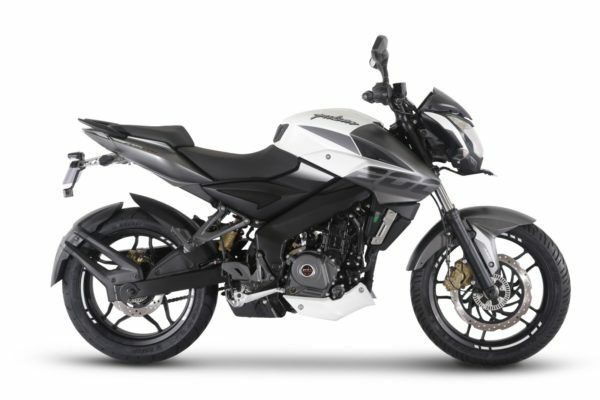 The Pulsar NS 200 gets a 199.5 cc single-cylinder engine which makes 23.5 bhp and peak torque output of 18.6Nm and is paired to a 6-speed transmission. The efficiency of the bike is somewhere around 35kmpl. Bajaj claims that the bike can do a top whack of 135 km/hr, which is fast for a 200cc bike. The Pulsar RS 200 is nothing but the faired version of the NS 200. With of them use the same engine, the platform on which they are made is the same. But the bike gets some minor tweaks like clip-on handlebars, side-mounted exhaust and dual projector headlamps. The bike is powered by the same 199.5 cc single-cylinder engine which makes 23.5 bhp and peak torque output of 18.6Nm and is paired with a 6-speed transmission. 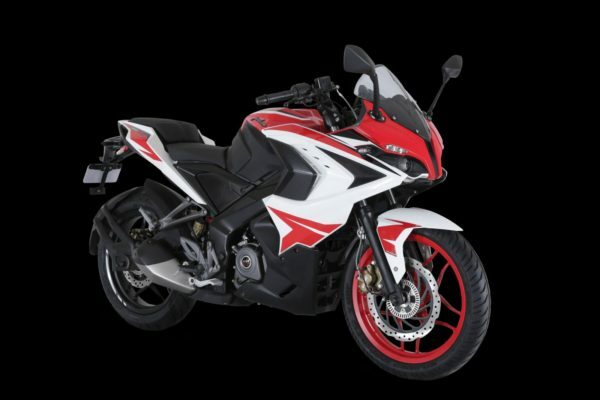 The Pulsar RS 200 also gets ABS. The bike that redefined riding that is the KTM RC 200. This is the vehicle that someone on a budget who wants to experience the racetracks should go after. It does miss out on the safety front like the ABS. 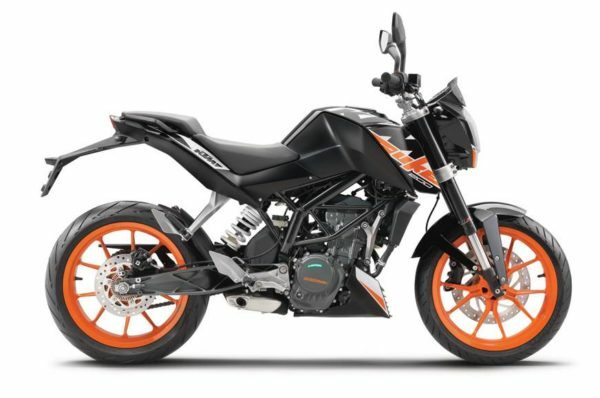 It is the fully faired version of the 200 Duke, it uses the same 200 cc single-cylinder engine which makes 25 bhp along with 19.2 Nm of peak torque. The engine is mated to a 6-speed gearbox and it has a claimed fuel efficiency of 35kmpl. The bike can touch a top speed of 141 km/hr.